Precious cargo. The classic Radio Flyer of 81 years still hauls the unselfish sacrifice and pride of nurturing parents. A mother's intuition and a father's advice grease the squeaky wheels down the path of unknown. Everyone has a little red wagon in some shape or form. This one is bright red plastic. 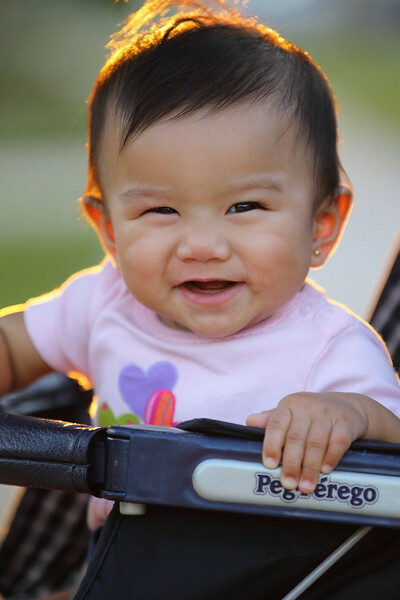 My daughter, Serena, turned 7 months old with enough saliva filled slobber to fill buckets. Her yearning to crawl or rather, lunge and mumbles indiscernible "mama" fascinates her family on a daily basis. Her older cousin and little red wagon passenger enjoys a first birthday ride together to nowhere. The thankless guidance with many tests of patience almost negates the overall satisfaction of parenthood. Luckily, there are Apple devices, Canon HD DSLRs and Jollibee Chicken Joy to sooth this overwhelming task. Yet, tangible objects do not replace the warm feeling of a job well done. 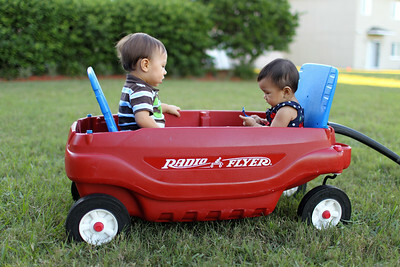 The invention of the radio and flight named the little red wagon of yesteryear. 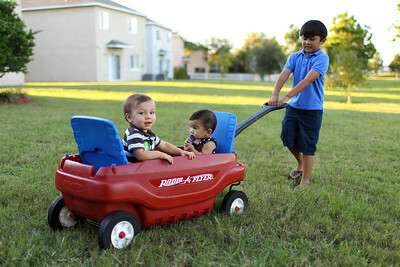 The emotional, social, physical and intellectual support of my children named the little red wagon of today. You can view more pictures shot with the Canon EOS 1D Mark IV paired with the Canon EF 24-70mm f/2.8L, EF 35mm f/1.4L and EF 70-200mm f/2.8L IS II lenses in Keelan's 1st Birthday Gallery. Stay updated with the latest HD DSLR gear by becoming a Fan on my Facebook Fan Page and following me on Twitter! Thanks! You could always get the less expensive alternative, the Canon EF 35mm f/2. Quite aged but a classic and great for crop sensors. Layout felt uncommonly practical. Jigsy the racks when they're vacant. best dishwasher to packing the shelf complete. best rated dishwashers its side so spoons can spoon, dishwasher reviews The Bosch 500 series' 5 cycles official website with multiple shade and also handle-style variations.